Star Wars fans were elated when Walt Disney announced that it would be releasing new Star Wars movies starting in 2015, after its acquisition of George Lucas’ much revered movie studio Lucasfilm. The first of these was J.J. Abrams’ sensational Star Wars: The Force Awakens which debuted last Christmas, and now the eagerly anticipated Rogue One: A Star Wars Story has finally hit the theatres amid a wave of expectation. So does director Gareth Edwards movie live up to the hype and is it another solid entry in the Star Wars franchise? The truth is that Edwards’ movie mostly hits the right notes, and is a solid and entertaining movie that offers a new perspective on the sci-fi universe that millions of viewers known and love, despite having a few faults. Rogue One is not a new movie in the main series (Episode VIII, which is a continuation of the events in J.J. Abrams’ The Force Awakens is coming out next year), but a spin-off movie that serves as a prequel to the original 1977 Star Wars movie, and also does not feature the typical Star Wars crawl text in its opening moments… Also, some may miss the classic symphonic John Williams score which has featured in all Star Wars films to date, even though composer Michael Giacchino does deliver a pretty good score which echoes John Williams’ classic themes nicely. 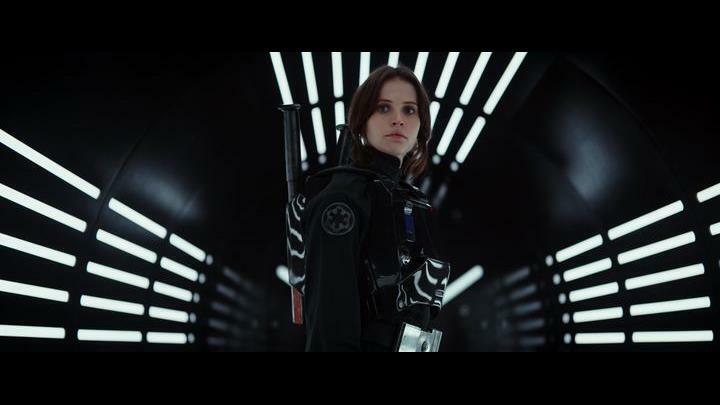 This movie does fall behind last year’s The Force Awakens when it comes to generating emotion though, as the ragtag group of Rebel soldiers led by Jyn Erso (who’s played by star of the moment Felicity Jones) are not exactly a charismatic lot, and it’s hard to be moved even by the inevitable heroic deaths that follow later in the movie. Although actor Donnie Yen as a martial artist who might be strong in the Force and a rebel leader played by Academy Award winner Forest Whitaker do cause a good impression, while an imperial android voiced by Alan Tudyk does a good job of providing comic relief throughout the movie, even if Rogue One clearly doesn’t match The Force Awakens when it comes to humour though. 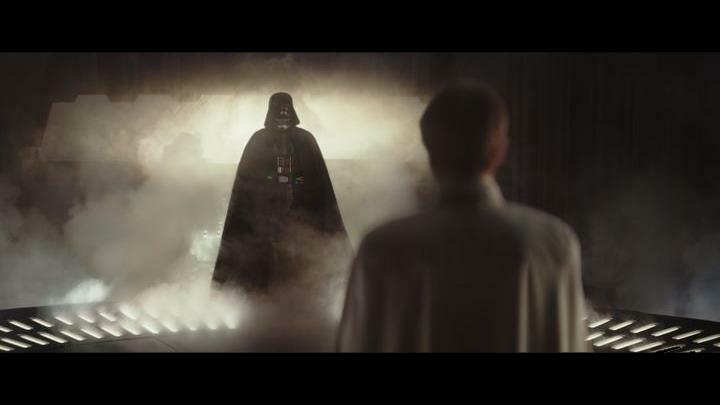 Seeing Darth Vader in action again is reason enough to go watch Rogue One: A Star Wars story this holiday season. It is welcome, though, that this film relies more on practical effects than CGI like George much-maligned prequel movies did, although this doesn’t mean there’s no CGI trickery going on in this movie. Actually, we see the magic of modern special effects at work here as the filmmakers have managed to bring actor Peter Cushing back to life using the latest computer wizardry, and his character Governor Tarkin is still an imposing presence in the movie (and tellingly manages to upstage almost everyone else in the film too…), plus the final space battle and rebel assault on the tropical planet Scarif is one of the best action sequences in any Star Wars film to date. Actually, Gareth Edwards’ movie is at its strongest in its final third, and we also get to see classic villain Darth Vader again in an action-packed finale that might remind viewers of earlier Star Wars movies like 1983’s Return of the Jedi, although this new Star Wars movie doesn’t quite reach the heights of George Lucas’ original trilogy. And while J.J. Abrams’ The Force Awakens did capture the Star Wars magic effortlessly, Rogue One is a darker, more serious affair, although it’s still miles ahead of George Lucas prequel movies. Star Wars fans will still want to watch this film, though, as it’s a solid effort that offers a different perspective on the familiar Star Wars universe and also plenty of action and thrills, meaning Rogue One is likely to end up being one of the biggest hits of this holiday season no doubt. Will Super Mario Run be bigger than Pokémon Go?